To make sure the fitment for carburetors, please compare your old carb with our pictures. If they look the same, it will fit. Carburetor works for TECUMSEH CRAFTSMAN YARD MACHINES SEARS MTD SNOWBLOWER SNOWKING 5HP engines. 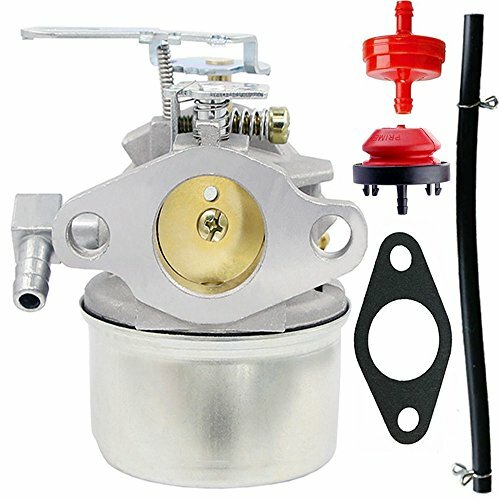 Carburetor for HS50 HSK40 HSK50 HSSK40 HSSK50 HSSK55 LH195SA LH195SP OHSK110 OHSK120 OHSK125 models. View More In Snow Removal. If you have any questions about this product by HOOAI, contact us by completing and submitting the form below. If you are looking for a specif part number, please include it with your message.